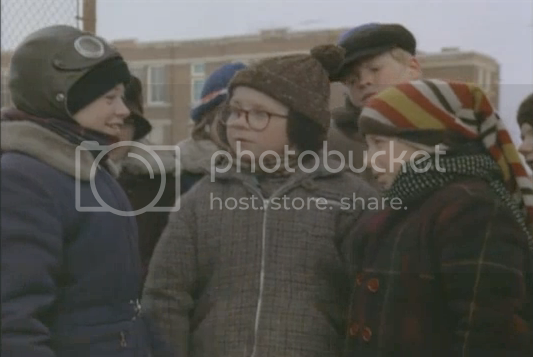 At the top of my list for things to do on Christmas day is watching the movie A Christmas Story as many times as possible during its 24 hour marathon that starts on December 24th and runs though the 25th. This year, if you're watching, I'd like to point your attention away from the leg lamp and the Red Rider 200 shot rifle and towards the jackets and coats in the movie. I'm pretty sure most of them walked the runway at Burberry Prorsum's last fashion show. 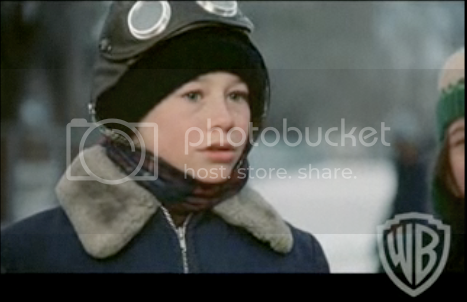 Scut Farkus' leather aviator coat is at the top of the list for me. WANT! I apologize for the low quality screen captures, but take a look at some more of the coats after the jump. 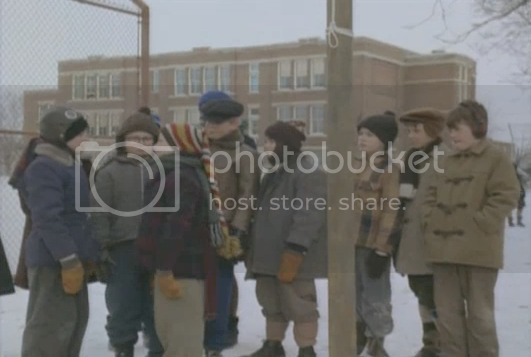 Check out the shearling aviators, duffle/peacoats and leather bombers that these kids wear! I'm pretty sure my style didn't come close at that age, I'm a bit jealous. Flick's coat on the left looks like something from A.P.C. this past season. The kid standing behind Schwartz also has a great leather bomber on. Look at all that shearling- Burberry Prorsum would be proud. 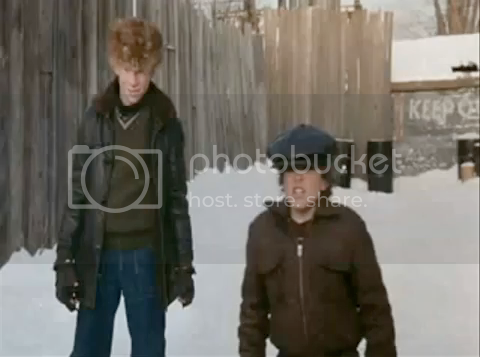 Scut's leather coat on the left tops my list. Where can I get one of those?